Pioneers in the industry, we offer check tapes, reflective piping tape, basket tape, cotton printed tapes, twill tapes and reflective tapes from India. We manufacture and supply an exclusive line of Check Tapes, used in a large number of industries. 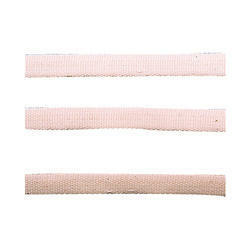 These attractive tapes have high quality, durability and high tensile strength. We offer complete solutions to our customers in terms of designs, colors and dimensions. 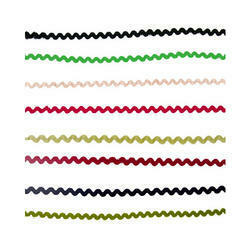 We manufacture Reflective Piping Tape in bright colors using the finest quality synthetic fibers. 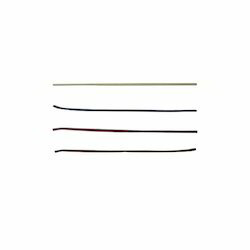 These tapes are flashy and are widely used in diverse areas. These tapes are available in varying lengths, widths, thickness, designs and patterns for meeting the needs and requirements of different customers. 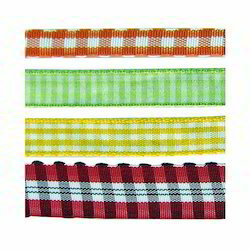 Our Cotton yarn dyed Twill tapes and Basket Tape are widly accepted by Garment manufacturers, Shoe industries, Bag industries etc. We supply all kind of Cotton Printed Tapes, manufactured using the finest quality fibers. These tapes are manufactured using natural and synthetic fibers for more strength, durability and high performance. These attractive tapes accommodate logo, trademark, text or abstract printing. We also undertake customized production orders, with no minimum order restriction. We manufacture an exclusive range of Twills Tapes used for consumer and industrial applications. We offer a vast variety in terms of colors, designs and patterns. Our fabric is known for its color fastness, strength and durability. We also provide customized solutions for our clients. We manufacture Reflective Tapes in bright colors using the finest quality synthetic fibers. 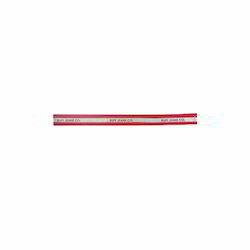 These tapes are flashy and are widely used in diverse areas. These tapes are available in varying lengths, widths, thickness, designs and patterns for meeting the needs and requirements of different customers. We supply a complete range of Rick Rack Tape, manufactured from superior quality fibers. 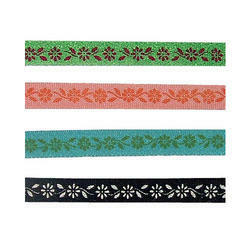 These tapes are available in numerous shades, dimensions, designs and patterns. We provide these tapes as per customer's specification and requirement. There is no minimum order restriction. 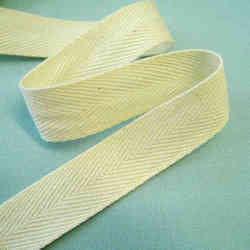 We manufacture high performance Woven Design Tape special construction techniques. Our range of woven tapes are available in different weaves including plain, matt weave, basket weave, twill and herringbone. 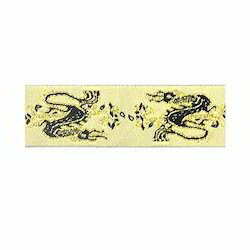 We provide customized tapes in terms of weaves, designs and tape lengths. We manufacture a variety of Bright Tapes, made from a blend of natural and synthetic materials. These high performing and durable tapes are available in different colors, widths, thickness and finish to meet different industrial requirement. We also provide customized solutions to our clients with no minimum order restriction. We manufacture and export an exclusive line of Leather Tapes with high aesthetic appeal. 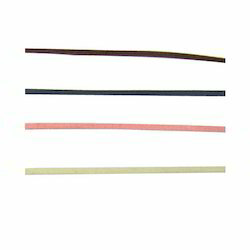 These tapes are manufactured using the finest quality leather and are available in numerous shades and finishes. We offer complete solutions to our customers for meeting specific industrial requirements. There is no minimum quantity restriction. We supply all kind of Custom Printed Tapes, manufactured using the finest quality fibers. These tapes are manufactured using natural and synthetic fibers for more strength, durability and high performance. These attractive tapes accommodate logo, trademark, text or abstract printing. We also undertake customized production orders, with no minimum order restriction. 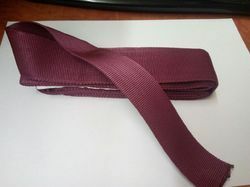 We supply high performance and durable Cotton Tubular Tape, used in different industries. These tapes are manufactured using special construction and designing techniques for more durability and strength. We also provide these tapes as per individual requirements with no minimum order restriction. 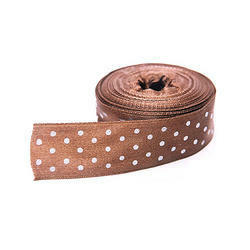 We supply all kind of Printed Satin Tape, manufactured using the finest quality fibers. These tapes are manufactured using natural and synthetic fibers for more strength, durability and high performance. 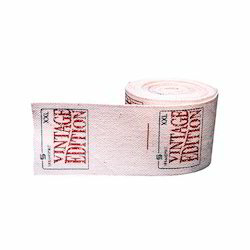 These attractive tapes accommodate logo, trademark, text or abstract printing. We also undertake customized production orders, with no minimum order restriction. Looking for Tapes II ?